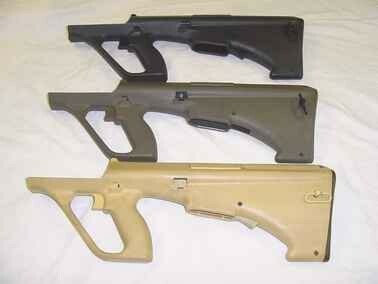 FA to SA - Ever wonder what makes a Steyr Aug semi-auto (SA) different from a full auto (FA)? Well here you go. 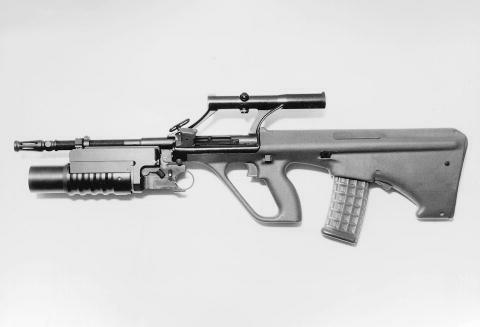 Please remember that to own a full auto weapon in the US that you must have a licensed and registered FA receiver or hammer pack and the appropriate paperwork from the BATF Failure to comply will lead to a long prison sentence. A big "Thank You!" 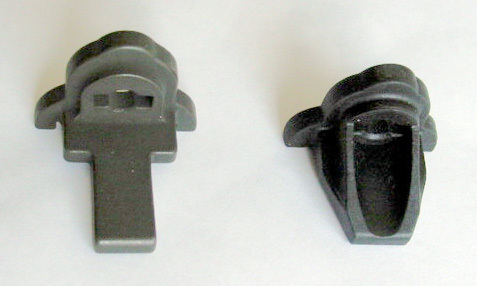 goes out to Harmsr for providing the following pictures detailing the differences in SA and FA parts. 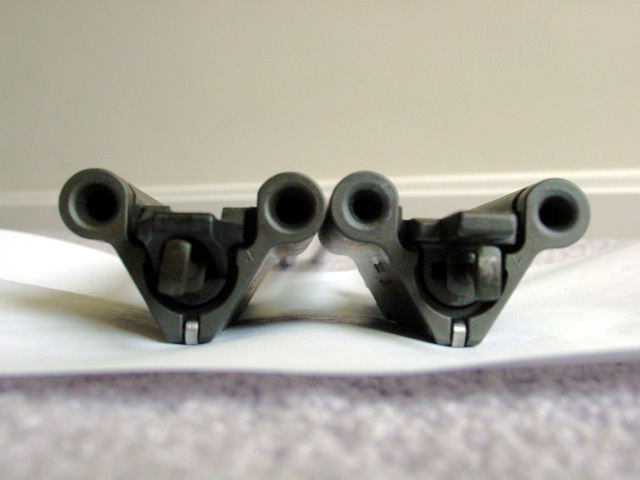 Harmsr does have a properly and legally registered FA pack that is used with these parts. Possession of any FA items without a FA pack or receiver may be construed as a federal firearms violation, so please check applicable laws and with the BATF before doing anything questionable. I hope the identification pictures here will help people recognize what they are buying and avoid and potential legal problems. 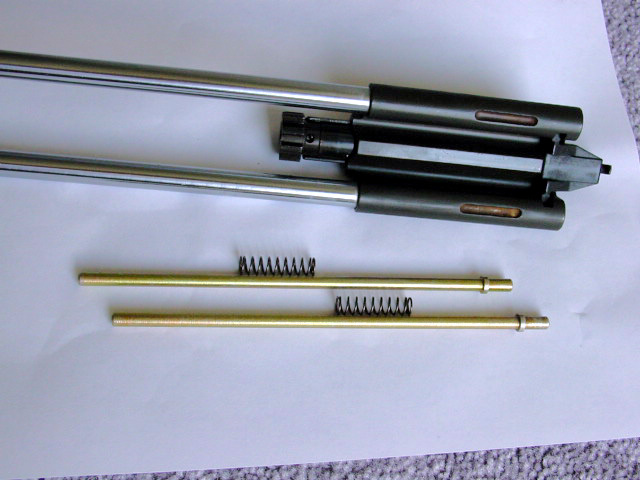 - The anti-bounce rods that are in a FA carrier are not shown. 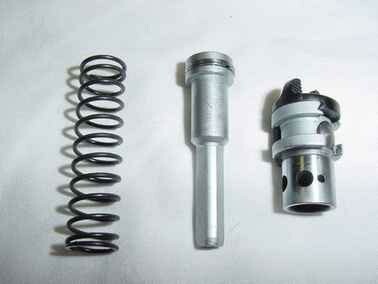 Again, Pete recommends if you do not have these installed that you limit yourself to 10 round bursts or less. 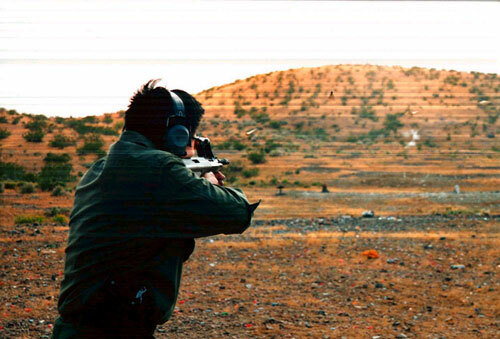 He says that anything more could result in damage to the firearm and/or resulting injury. - The first Picture is a SA Carrier next to a FA carrier. 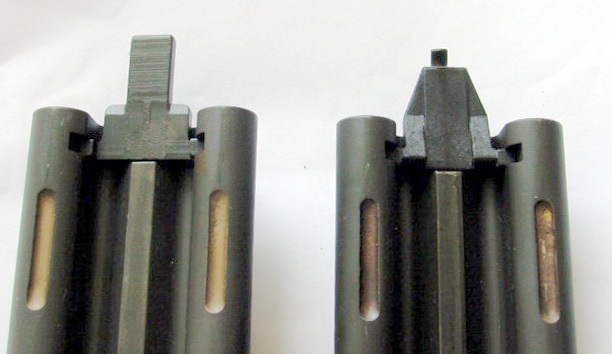 There are some differences between the two carriers such as the cocking piece, holes for the guide rods, as well as the inclusion of anti-bounce rods within the carrier itself. 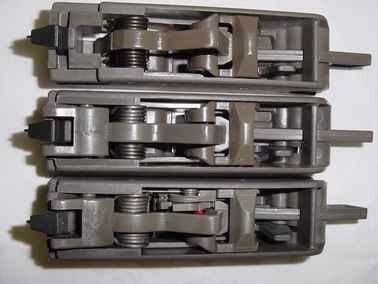 - Here are the Piston parts for The FA note they include a NO GAS Function for launching a grenade.